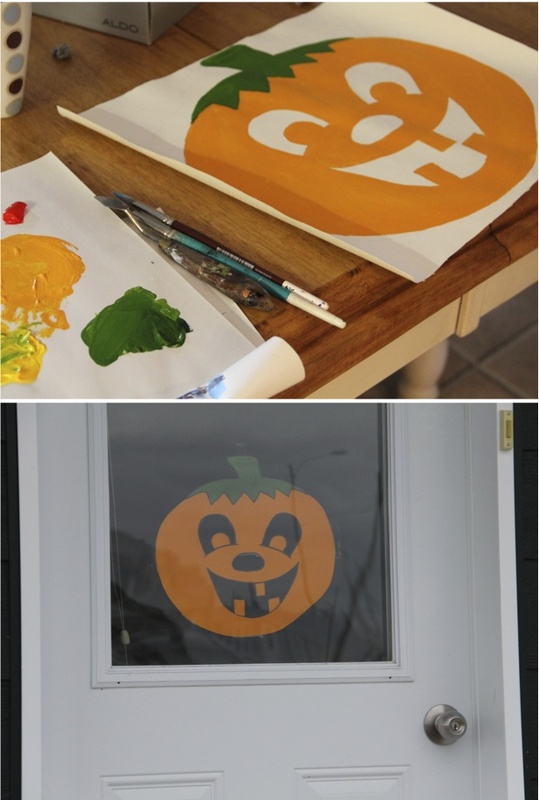 Hey, Lady Grey: If you can't find a pumpkin (because you live 1500km north of civilization), make one instead! If you can't find a pumpkin (because you live 1500km north of civilization), make one instead! It will be a pumpkinless halloween in this here northern town. I spoke with the manager of The Northern (our only store up here) and she explained to me that she accidentally ordered the pumpkins too late, and they'll probably only arrive after the 31st. This is the first year that the hubs and I can actually give out candy on halloween. For the past 6 years we've lived in a high rise Montreal apartment, and no kids ever went trick-or-treating up there. Now that we have a street level front door we have to be prepared! So we stocked up on a variety of delicious mini chocolate bars (our favourite kinds, of course, in case no kids come by). But then we discovered the whole lack of pumpkins fiasco. 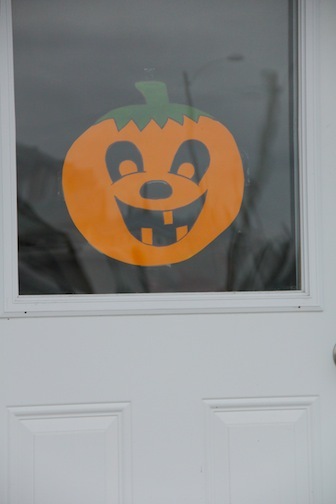 Without a pumpkin outside our door, how will the kids know we have the goods?! So I decided to make one instead. you are so cute- I love it- and I love your enthusiasm- you're going to make a great mom. you could make one from turnips - that's what they used to do in the UK before they had pumpkins!